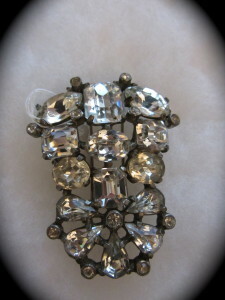 Eisenberg Original Fur Clip Chunky Rhinestones! Eisenberg got his start out making clothing. He would embellish his blouses with brooches, but the ladies were stealing them! So he stopped making clothes and started making jewelry. The company is still in business today. You can date their items, but the mark. 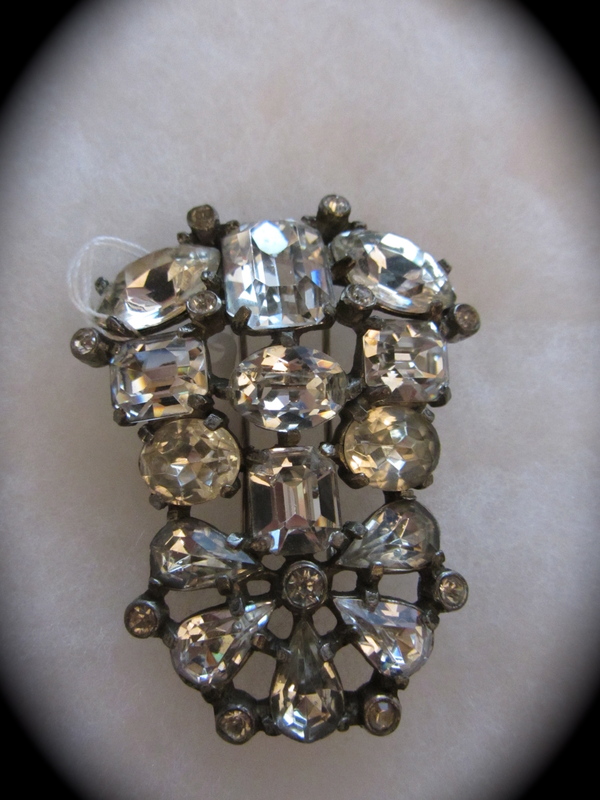 This lovely Fur clip has all prong set rhinestone. They vary is shape and size, but all are super shiny sparkly! This fur Clip measures 2 1/2″ long and 2″. 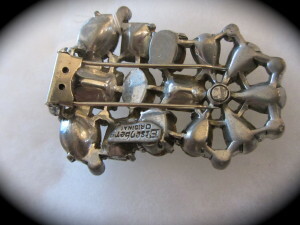 Wonderful condition and marked on the back: “Eisenberg Original”.